Our client, a high school math teacher and master’s degree candidate in mathematics, was driving northbound on Western Avenue to her aunt’s home. She was just 22 years old. She had consumed some wine earlier in the evening, but was feeling unaffected. In a Nutshell: Felony DUI hit & run no file for client, age 22, who allegedly hit homeless man jaywalking at night in Gardena. She was driving alone. As she was searching for her aunt’s street, she became disoriented and believed she had passed the turn to the house. In fact, however, she had not reached her aunt’s street. Not knowing where she was, she decided to turn around and retrace her route to re-orient herself and find her aunt’s street to turn onto. She first pulled over and looked at her cellphone for directions, but then gave up when she could not find the address. She then decided to do a U-turn to retrace her path. As she turned back in downtown Gardena to reverse her direction, she heard a thump to her car and looked over her shoulder. She saw nothing, but she thought it was odd. She ruled out hitting a parked car and continued driving. She concluded that she must have hit a cardboard box in the street. Less than five minutes later, still lost, increasingly confused and becoming frustrated, she noticed a Gardena police car behind her with its flashing lights illuminated. She client immediately pulled over, now thoroughly confused. Her anxiety rose. Police informed her that she had struck a pedestrian and arrested her for felony hit and run. It was approximately 10:15 p.m. Our client cried in disbelief. Police told her the man was injured and could not walk. His legs may have been broken by her, they told her, although we later found out that this was not true at all. Police smelled the odor of alcohol (they claimed) and arrested her without any other reason that being suspected of hit and run. At the police station, our client submitted to a breath test for alcohol, which police claimed was “inconclusive.” Our client also agreed to submit to providing a blood sample. She was then booked and made a phone call to her worried parents, with whom she lived in Torrance. Her petrified parents posted bail of $20,000 and took her home. The violations written on the ticket issued to the client were a violation of Vehicle Code § 23153(a) (Felony DUI with Injuries, no BAC specified) and Vehicle Code § 20002 (Hit & Run). The very next day, the client retained Greg Hill & Associates. Greg Hill met with the client on a Sunday afternoon at our office in Torrance and listed to the client’s story and her concerns. The client brought her college diploma and proof of employment to the meeting. 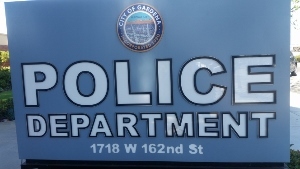 The same day, Greg then drove to the Gardena Police Department to discuss the case with the handling detective and give him the handling detective copies of our client’s college diploma and proof of employment. Greg waited in the lobby of the Gardena Police Department for approximately two hours to speak with the handling detective face to face, but eventually just left copies of the documents for the detective. Greg wanted to let the detective know that our client thought she had hit a cardboard box, not a person or a parked car, so she had no obligation to stop at the scene to provide her license and insurance. One could not be hit and run, after all, unless one was aware that one had a collision with another car or another’s property, which an abandoned cardboard box certainly was not. Greg Hill & Associates followed up the visit with a letter to the Gardena Police Department and reserved a DMV Hearing for our client. On the day of the arraignment in the Torrance Courthouse, the Torrance District Attorney announced they had made a decision not to file the case against our client. Our client was obviously relieved greatly, as her career and her studies for a master’s degree in math were in jeopardy of being wiped away as meaningless with a felony conviction. Instead, she was able to continue in her job and education.